If you had the confidence to follow your inspiration, even if that meant starting something new and leaving something familiar behind - would you do it? 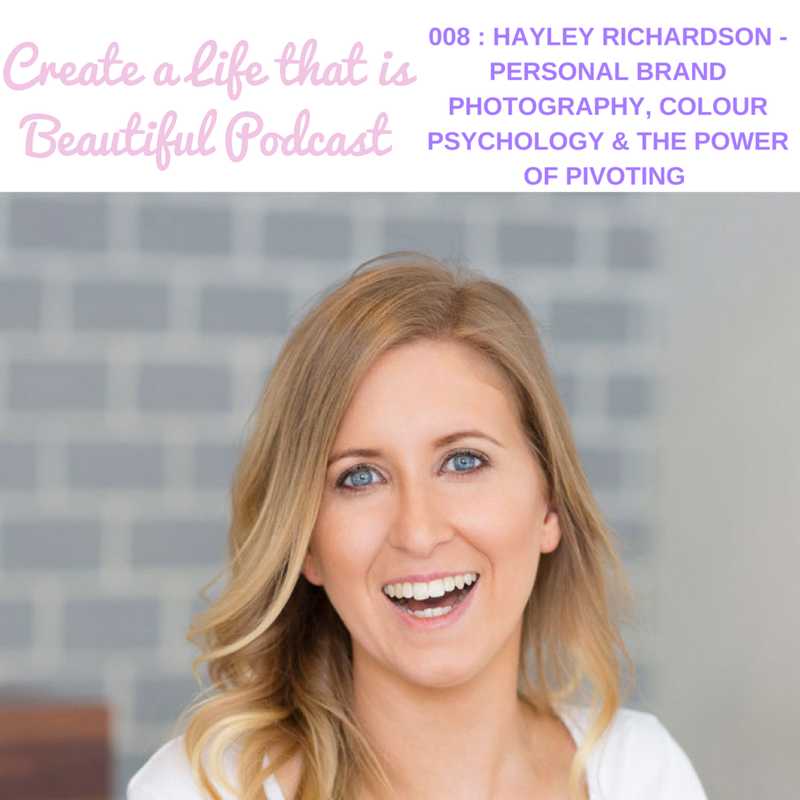 Today's guest on the Create a Life that is Beautiful Podcast, Hayley Richardson, shares with us her journey to uncovering the work she does today as a Personal Brand Photographer. Her story is a wonderful example of the power of pivoting and following your inspiration & creative interests. With many twists and turns on Hayley's journey, looking back today and all that she is able to offer her clients it seems like all the moves she made were perfectly thought out to get Hayley in the position she is in today. But of course, how could she have known that? None of us can. But when we trust our inspiration and follow that guidance, we end up perfectly in alignment with our purpose & calling in the world. Hayley helps her clients, who tend to be creatives in business express their authentic self through photography so that they are able to attract the right people to their brand. She has a fabulous ability to capture the essence of a person and is fantastic for us coaches because she covers all the bases with experience in running a business, marketing and both health & blog coaching. And, like many of the stories I have shared so far, Hayley didn’t begin her career in photography or marketing. "MY JOURNEY HAS BEEN WHAT IT'S NEEDED TO BE, TO GET ME HERE." "COLOUR PSYCHOLOGY CAN APPLY TO EVERYTHING IN OUR LIVES... FROM A BRAND PERSPECTIVE IT CAN HELP US CREATE A FRAMEWORK FOR OUR BRAND IDENTITY SO THAT WE ARE PUTTING OUT A MORE COHESIVE MESSAGE TO OUR CUSTOMERS AND CLIENTS THAT HELPS STRENGTHEN THE PERCEPTION OF OUR BUSINESS." "THINGS DON'T ALWAYS GO TO PLAN, BUT YOU WILL GET TO WHERE YOU NEED TO BE AND IT WILL BE PERFECT AS IT IS."